Welcome to the grief/relief podcast! Join host Moe Provencher every 1st and 3rd Tuesday of the month for conversations with some of her favorite people, as they share stories of loss with each other and examine how grief has transformed their lives. You'll hear laughter, sometimes tears, and always profound intimacy. 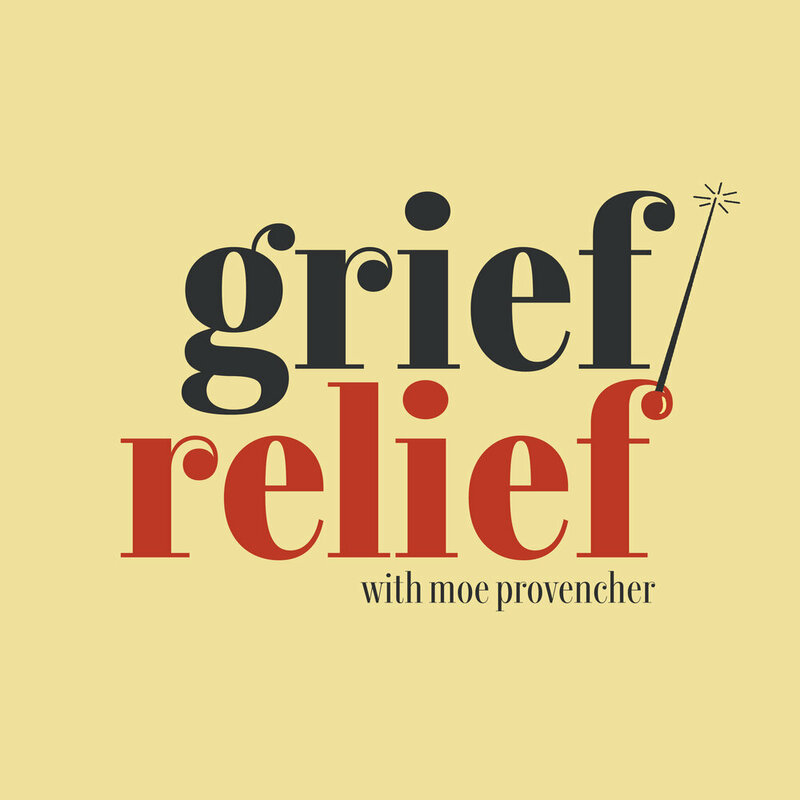 The grief/relief podcast hopes to normalize conversation around the often painful and taboo topic of grief, to explore how change can be beautiful, and how loss affects our lives in unexpected ways. We want to know - how do different people react to loss in all of its forms? Where do they find hope? How does one survive? These candid discussions provide a positive way to engage about grief, bring each other some support through hard times, and also give us a little fun along the way.